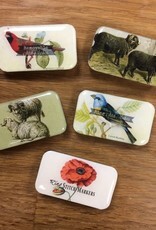 Sweet pill box, slider tins featuring charming springtime blooms and bumblebee prints covered in hand-poured resin. 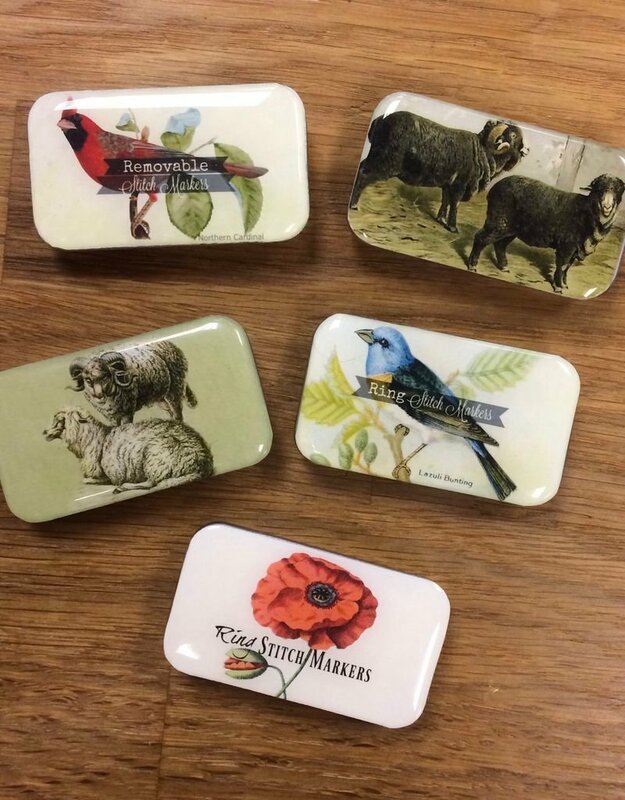 At a compact 2 1/4" x 1 1/4", this little tin is perfect for keeping stitch markers organized. A perfect addition to your customers knitting bag. Contains 10 ring or removable stitch markers. andmade in British Columbia.